Each visit to Life Wellness Center is not just an adjustment. It is an entire investigation into the emotional, toxic, structural, and biochemical factors causing your subluxations. Are you a company in Longmont, Colorado? Sign up for our complimentary morning massage days! We’ll come to you! At Life Wellness Center, we use a revolutionary system that addresses structural, biochemical, emotional, and toxic imbalances throughout the body. Beyond providing chiropractic care and adjustments, we have a desire for each of our patients to receive personalized care that meets the needs of the whole body. Visit our services pages to learn more about the many treatments we offer or to sign up for one of our free community workshops to meet our team and see how we LIVE EVERY MOMENT and help our clients do the same. Check out our collection of articles and resources to see our perspective on holistic care and how you can LIVE EVERY MOMENT! 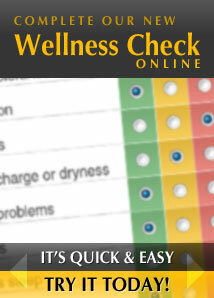 Try the free Wellness Check tool to benchmark your personal wellness. Check out these reviews from people whose lives have been changed by LIFE WELLNESS CENTER! You need to give Dr. John a try! You won’t regret it! Thank you Dr. John for your continued commitement to my treatment! Dr. John Wendt has helped me address emotional issues that were affecting my overall well-being. I have seen several chiropractors, therapists, counselors and doctors over the past 10 years that have not been able to help me move past certain traumatic events in my life. At Life Chiropractic, I have begun a healing journey without the consequence of experiencing the full levels of stress and pain from the original event, which has often been an issue for me when going through therapy. In fact, during one session, I was able to contend with a memory that I was unable to talk about in any of my previous therapy sessions. Dr. John listened attentively to my story and helped me work through the pain surrounding the original event and I felt a huge weight lift from my heart and soul. My stress levels have decreased noticeably. I feel as if I had lost my way and am now back on the path to a beautiful and fulfiling life. I have always experienced heavy impact from jet lag in all previous trips both going and returning. Every time I traveled … Hawaii, the Far East, Europe, etc. It was really bad. I experienced unshakable fatigue, headaches, and the need to sleep around the clock. I came to Dr. John because of his holistic approach to health care. He gave me a homeopathic protocol for jet lag and we did NET before my last trip. This made travel a whole new experience. I had no symptoms on my recent trip to Scotland and only minor fatigue upon returning. I highly recommend the Day/Night homeopathics for jet lag. Amazing! I can’t say enough of how much Dr. John has helped me and my children. He is always positive, encouraging, and sincerely interested in my wellbeing. I recommend him to everyone!